There's a LOT more to Japan than sushi and sayonara. Its sublime design sensibilities, for example. They're defined by clean lines, an emphasis on organic and raw materials to bring nature closer, handcrafted elements, multitasking spaces, and genkans—a designated space, whether large or small, where one can remove their shoes and change into house slippers. It makes the most out of small spaces and creates a tranquil oasis. 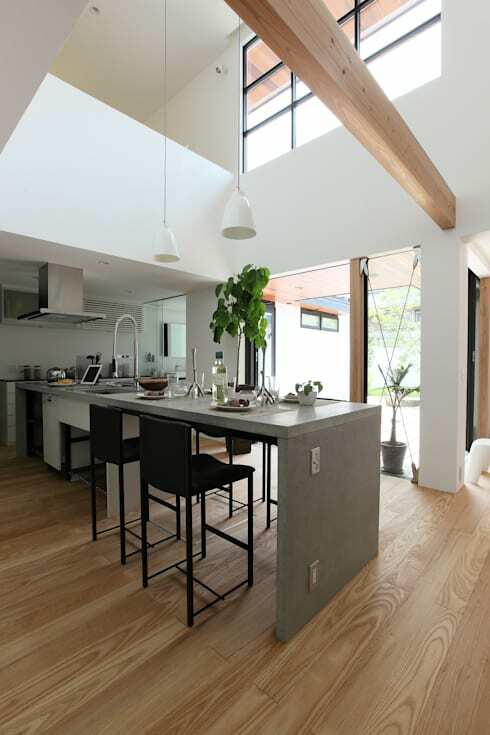 The house we are looking at today is designed by Sakurama Architect Design and is a wonderful example of blending Japanese design philosophy with modern aesthetics. Built over two levels, it wraps itself around a central courtyard infusing the whole space with the spirit of Zen. This gorgeous space leaves a big impression. But don't let us tell you that, see for yourself! 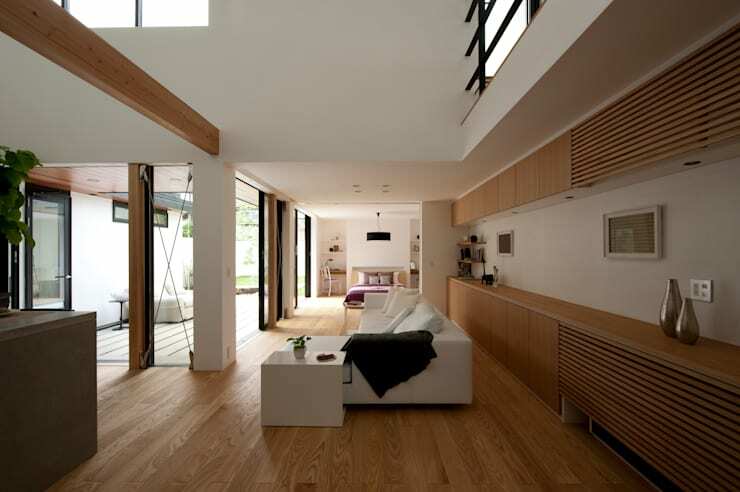 Japanese design pays a great deal of attention to the entryway. This is where the lines are drawn between the outside and the inside, where you (literally and figuratively) shed off the dirt of the day and don't bring it in. And what better way to emphasise it than to design a Zen garden right at the entrance? Seen here are all the elements that characterise such gardens: plants, water and rocks. These come together to create the perfect tranquil retreat. It's quite easy to build a Zen garden for yourself; speak to our landscape architects to get kickstarted. The white-and-glass facade further adds to the calm and peaceful atmosphere of the space, while ensuring that the interiors get an abundance of natural light. Japanese minimalism does not mean living in empty spaces; in fact, it simply calls for spaces that impart a sense of wellbeing and peace. The living room and adjoining bedroom are characterised by low-lying furniture, clean, straight lines, earthy colours and not to forget, plenty of free-flowing space. Zen design favours built-in and concealed storage so here you can see that the architects have tried to incorporate that as much as possible. The cabinetry subtly takes the background. Now here's a bathroom where we could picture pitching our tents and camping for a bit! Alright, we exaggerate, but the bathroom here is indeed so gorgeous that you're not going to be in any sort of hurry to leave soon. That again corresponds to Japanese design aesthetics where the bathrooms are crafted so as to bring to mind an onsen or hot spring. 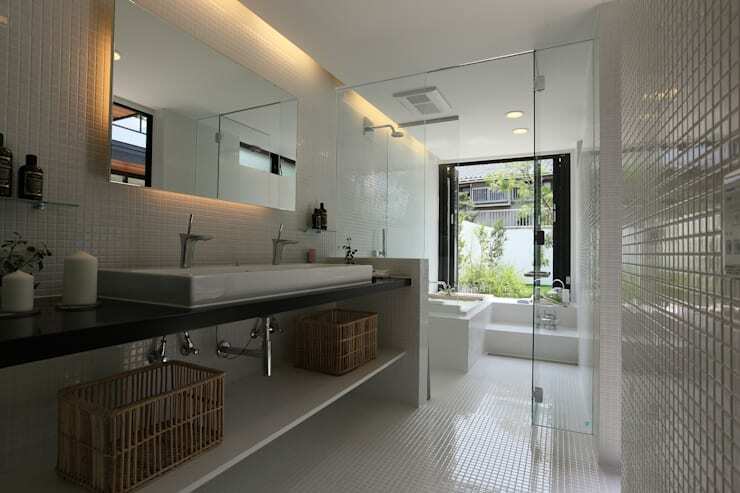 Look at how simply but elegantly the glass frame demarcates the shower area! The floor-to-ceiling glass window at the far end creates a porous boundary and the natural surroundings are made part of this bathroom. The kitchen sees an interesting blending of Japanese design with Scandinavian sensibilities, both of which are characterised by minimalism, essentially making them best buddies. We leave you with this serene pathway that lies to the side of the house and is a showcase of how a lot of thought goes into the simplest design. 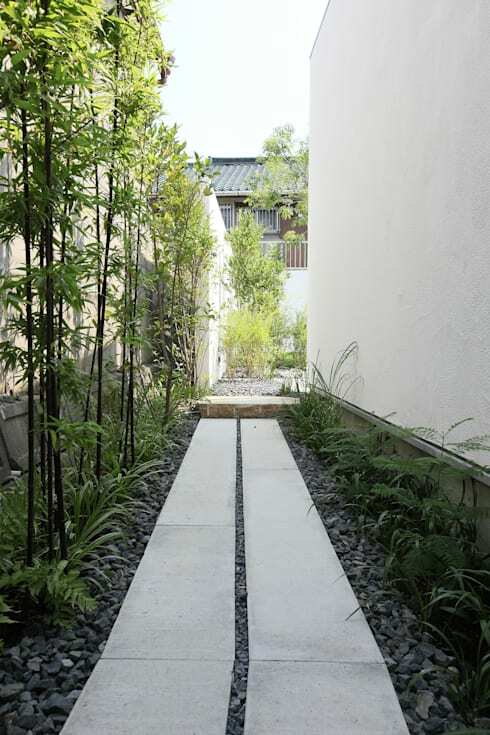 Flanked by plants, bushes and stones on either side, the concrete pathway is a simple yet artistic design element. You can see how nature has been treated with the utmost respect here. Beautiful, isn't it? If you haven't had your fill of Japanese design, check out: The Japanese timber home with a private heart. 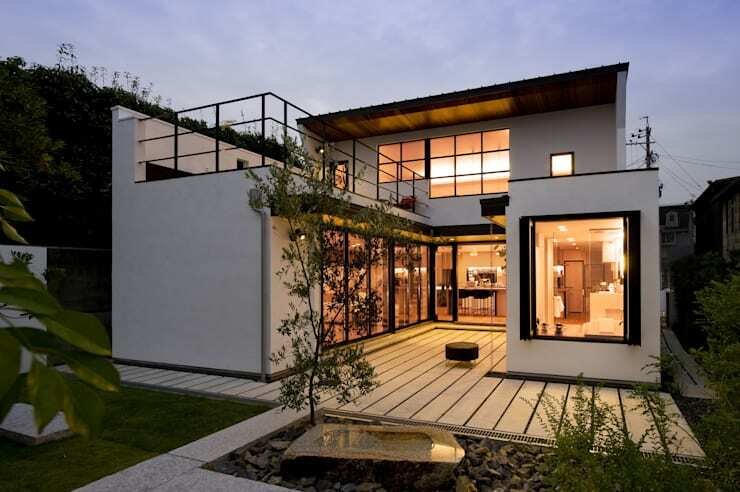 What did you like about this traditional yet modern Japanese home? Tell us about it in the comments!